The Starfire S-4XL is designed to tackle your tough cleaning needs. From chip seal and milling operations to heavy spring clean-up, the S-4XL can handle it. 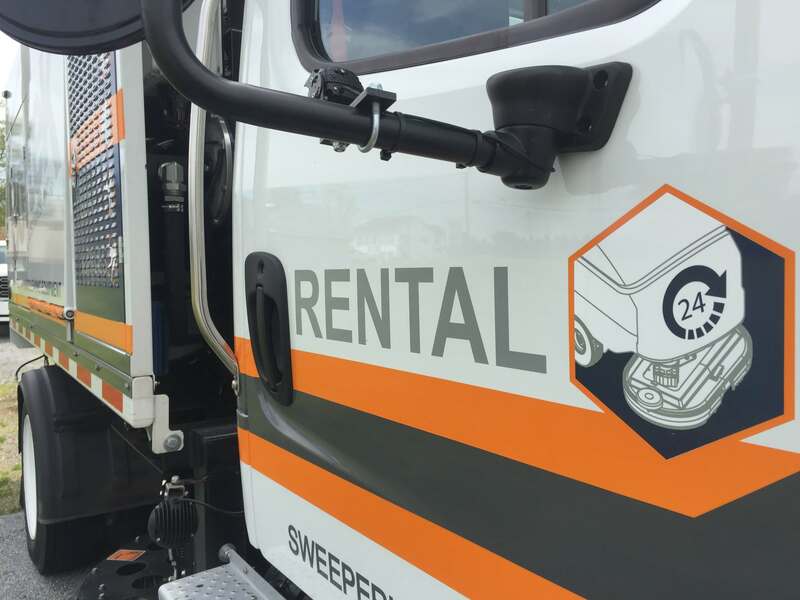 Manufactured with reliability and simplicity in mind, the S-4XL is built for day-in and day-out continuous duty sweeping. 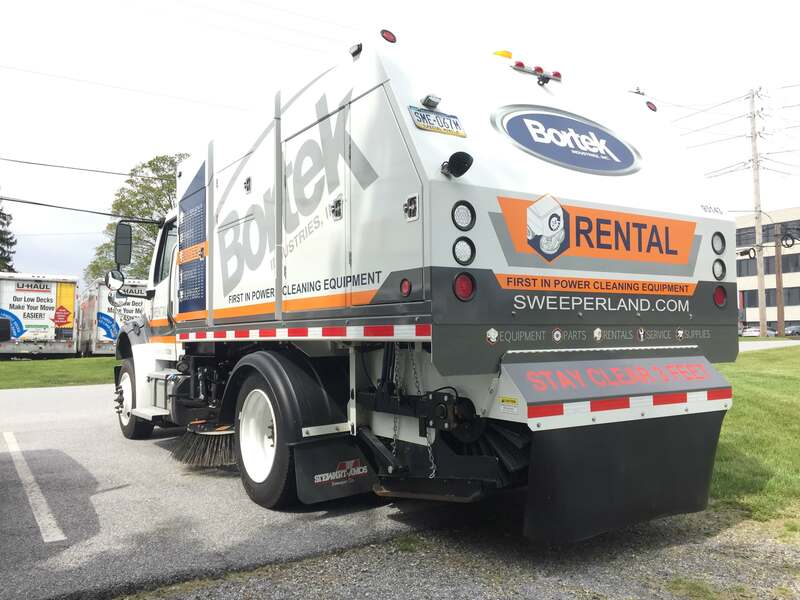 Whether you’re looking to purchase this street sweeper, get a demonstration, or rent it, we’ve got you covered. In any case, call or contact us and we’ll have our professional staff help you through the process! Large 4.5 cubic yard capacity debris hopper. 11’ sweeping path with 54” gutter brooms. 10′ path with optional 42″ gutter brooms. 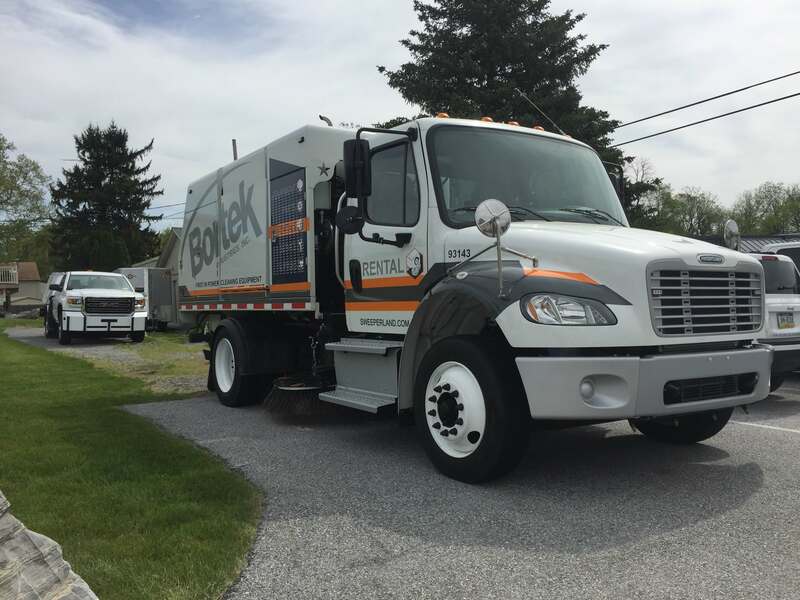 Longer reach 44” hopper door ensures more efficient and safer debris disposal. Longer reach eliminates need for hopper shifting which can cause stability issues. Spring balanced, full floating gutter brooms auto compensate for wear. Automatically follow surface contours for clean sweep all the time. No operator judgments or costly hydraulic down pressure systems required. DUST FREE SWEEPING provided by 3.6 GPM electric diaphragm pump and 330 gallon water supply. 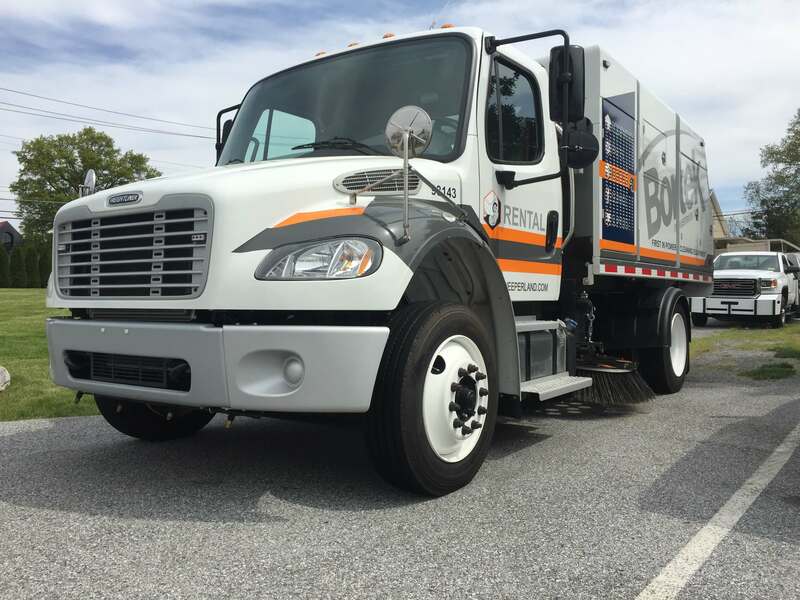 One-Touch Sweeping and auto pick-up in reserve enhances operations. 4 massive “X” style lift scissors provide exceptional hopper stability especially when dumping wet, unbalanced or sticky loads. Elevator hydraulically driven through a chain and sprocket drive system. 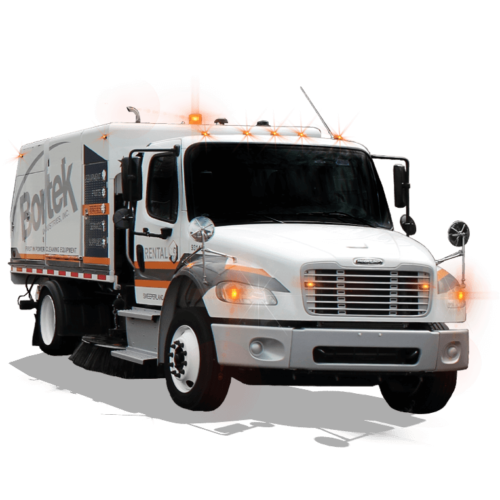 Unlike direct drive alternatives, this system better protects the hydraulic motor from shocks and jarring impacts common during operation. 59 HP Kubota turbo-diesel engine provides more than sufficient power at minimum operating speed. Easier the work load equals longer service life. Auxiliary engine has auto shutdown in event of high temperature/low oil pressure. OVERSIZED 45 gallon hydraulic reservoir ensures maximum performance and minimalizes overheating risks. LED lighting consumes approximately two thirds less power than incandescent bulbs and minimizes battery power draw. Wear component part numbers etched in the metal for easier identification. All operating controls conveniently located in cab. 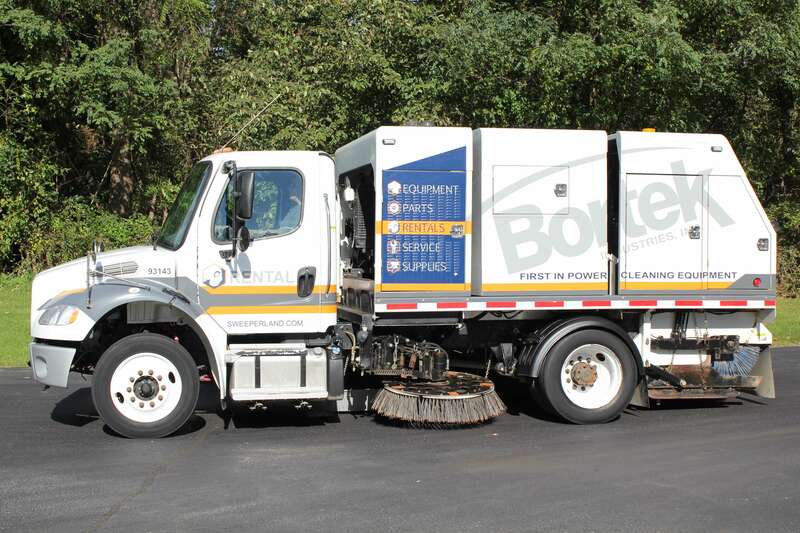 Intuitive/dependable rocker switches control all sweeper hydraulic functions. “EYES FORWARD” color camera safety system keeps operator focused on traffic/road ahead versus constantly diverting attention to rear view mirrors. Dash board mounted 7” COLOR MONITOR (positioned slightly to right of operator’s forward view) provides operator with clear view of right side broom, right side dumping and rear of unit. Like all Stewart-Amos sweepers, the S-4XL is built with time tested, easily accessible off the shelf components. All hydraulic motors are the same. Back-up alarm is standard equipment. All components enclosed in protective and lockable steel housings. Protects components from the elements, vandalism and passing/falling tree limbs. 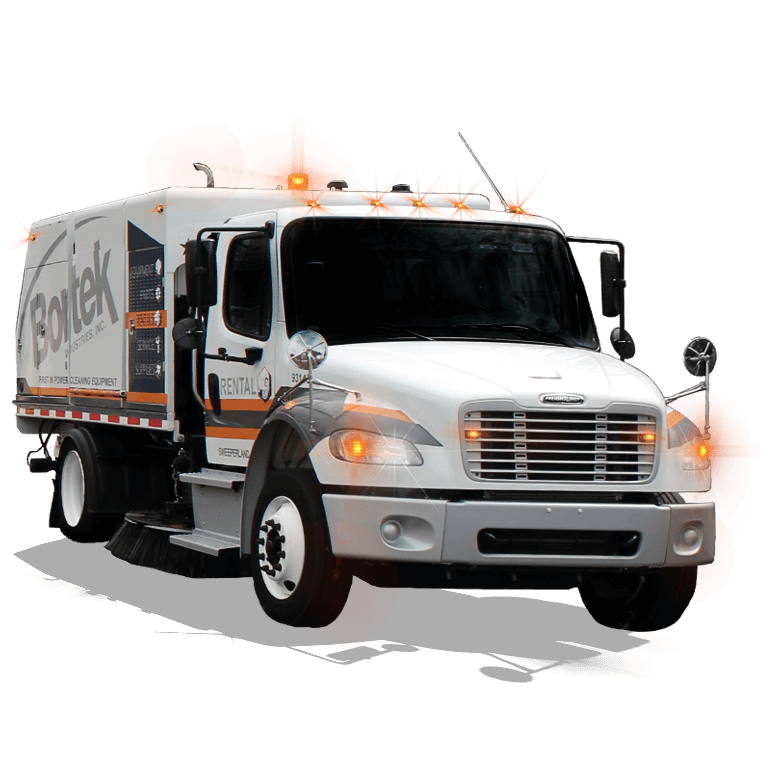 The Starfire S-4XL has built a reputation for rugged reliability and superior sweeping performance. 11ft. (132 inches) OR 10ft. (120 inches). Depends on the Side Brooms option chosen.